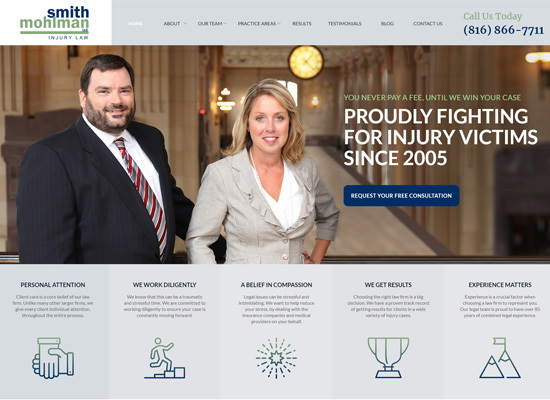 Where Kansas City accident victims, those with personal injuries go for help when they need honest, practical legal advice. The trial attorneys at Smith Mohlman Injury Law, LLC, practice in both Missouri and Kansas and they fight for real people when they need it the most. Almost no one thinks they will be the victim of a serious Kansas City personal injury could get wrapped up in a dispute that turns their world around. How will you handle your bills and lost income? Will you ever recover? Who can you look to for honest advice?